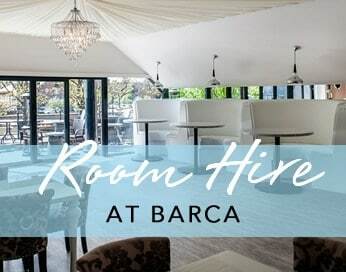 Barca Bar In Manchester is Situated in the heart of Castlefield, within walking distance of town and all the major transport links including Deansgate GMX railway station, Cornbrook and Deansgate/ Castlefield Metro link stops, Barca Bar in Manchester has built a reputation as one of the best venues in Manchester and the whole venue has recently undergone a full refurbishment including the outside area. 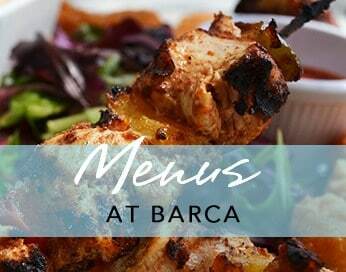 With a stunning canal-side, decked terrace and one of the largest outdoor areas in Manchester boasting a brand new, extra-large barbecue and luxurious rattan seating, you really will feel like you’re on holiday when you’re at Barca Bar!. An outdoor bar and music are also available. We offer Casual Dining in the Bar or Formal Dining in our Restaurant and food is served daily from 12pm. Click to view our New Menu. 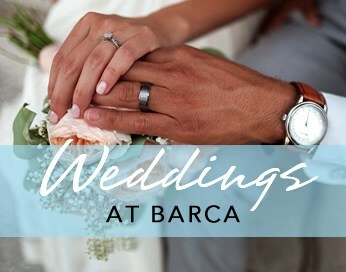 So, if you’re looking for a stylish and vibrant Bar/Restaurant with a great atmosphere and friendly staff or you need Room Hire in Manchester, look no further than Barca Bar in Castlefield and let us cater for all your needs whilst delivering excellent service.